Posted on 4, July 2018 by EuropaWire PR Editors | This entry was posted in Czech Republic, Technology, Transportation & Logistics, Travel and tagged České dráhy, locomotive trains, Miroslav Kupec, Pavel Krtek, Siemens-Škoda consortium, Tomáš Ignačák, trains. Bookmark the permalink. The Czechs can look forward to the most modern passenger cars in Europe. National transport company České dráhy has ordered them from the Siemens-Škoda consortium for its long-distance lines. The supermodern, comfortable vehicles combine the benefits and experience gained from the operation of high-speed units with the advantages of locomotive trains built from passenger cars. Plzeň, Czech Republic, 04-Jul-2018 — /EuropaWire/ — “České dráhy is one of the leaders in railway innovation in the youngest member states of the European Union in the area of dispatch and introduction of modern services, as well as in the field of technology and vehicles. The contract for the supply of new passenger vehicles that we concluded a few days ago with the Siemens-Škoda consortium confirms this. 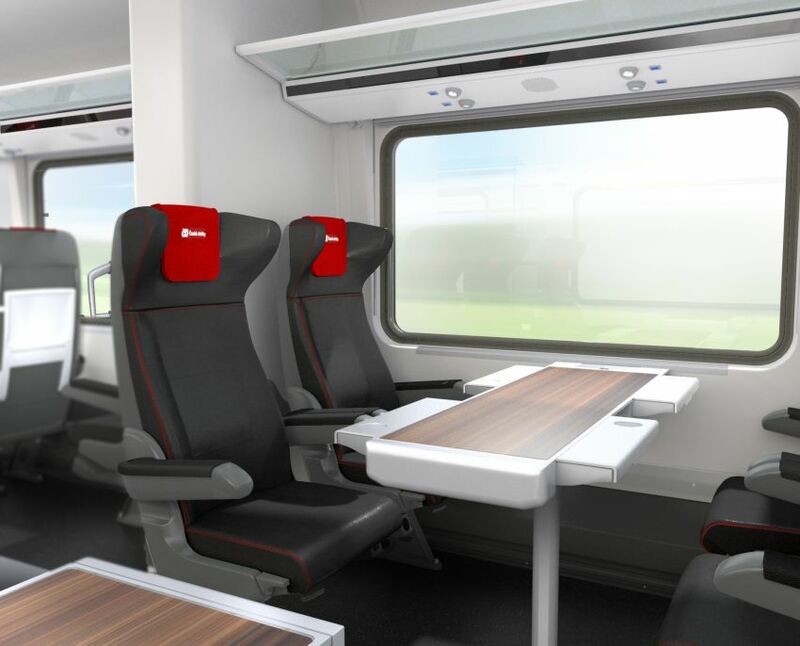 This is a new concept that offers passengers comfort and the equipment of high-speed trains, as well as the flexibility and advantages of trains built from individual cars. České dráhy will thus strengthen its competitiveness in long distance transportation in both the Czech Republic and throughout Central Europe,” says Pavel Krtek, Chairman of the České dráhy Board of Directors, emphasizing the importance of the contract. “Škoda Transportation is currently producing six high-speed trains for German carrier Deutsche Bahn, and I am pleased to be able to share this experience with the delivery of high-speed cars for České dráhy. Our company will mostly participate in this contract in the assembly and activation of the vehicles, which provides work for both employees in production and Czech technicians,” adds Tomáš Ignačák, Deputy Chairman and Vice President of the Škoda Transportation group. České dráhy, and especially their passengers, need new comfortable cars to operate on important national and international routes, offering both high speed and pleasant travel. The value of the contract for the supply of 50 express cars for international lines of České dráhy is almost 3 billion CZK. The first cars will be delivered within 32 months of the signing of the contract. “The consortium will deliver 50 passenger cars built into 10 non-traction units with five wagons that will be connected like a high-speed train. This will allow passengers comfortable, barrier-free access throughout the train, and offer them the further benefits of modern high-speed trains. However, the trains will end with a standard UIC for passenger cars at both ends. This will allow us to flexibly respond to operational needs and to connect several units to create a longer and higher capacity train, as well as connect individual passenger cars to create trains with different capacity and services. It will be possible to connect other 1st and 2nd class cars, restaurant cars, bicycle cars and control cars to passable trains. This makes it possible for these untraditional trains to operate as a common locomotive train as well as a push-pull train, locomotive-hauled in one direction, ” says Miroslav Kupec, Member of the Board of Directors responsible for technology, service and property, listing the advantages of the new České dráhy vehicles.